Applicants are being offered from the Social Welfare Department Sindh Jobs 2019 Latest Advertisement. Directorate General of Social Welfare Sindh is currently looking to hire the well disciplined, caliber and adroit applicants are required to apply for the following positions. 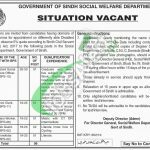 Jobs in Sindh Welfare Department are such as (Assistant Social Welfare Officer, Junior Clerk, Auxiliary Worker, Naib Qasid, Chowkidar) are the recent vacancies which need to be filled by the applicants as soon as possible. Domicile holders of Sindh are eligible to apply for these posts. Attractive pay package will be given to the applicants. Now, I will let you know about its rest of the details. Social Welfare Department Sindh is the Government body which is working under the supervision of Government of Sindh which is involved in providing social services on provincial level to the peoples especially those who are needy and are financially weak so this provides the social aid to such peoples by helping them in different conditions. Being a Govt department it offers Govt jobs of all levels. For all the above posts, the applicants should be having the Graduation/Matric/Middle qualification along with relevant expertise are also needed to fill these posts. Age limit should be between 18 to 30 years. Applications clearly mentioning the name of the post applied for with attested copies of degree/certificates, experience certificate, CNIC, domicile and 2 passport size photographs should reach the following address given below. The last date for applying is March 09, 2019. Late received and those of incomplete forms will stand rejected. Govt employees should apply through proper channel. So, for more jobs stay tuned with this job page to get employed for a number of the posts. Last Date To Apply: March 09, 2019. 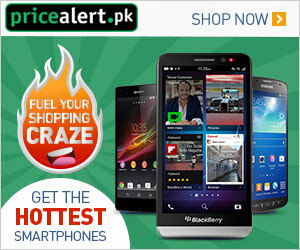 Address: Office of the Director General, Social Welfare Department, Government of Sindh, Block-79, Sindh Secretariat 4-B.